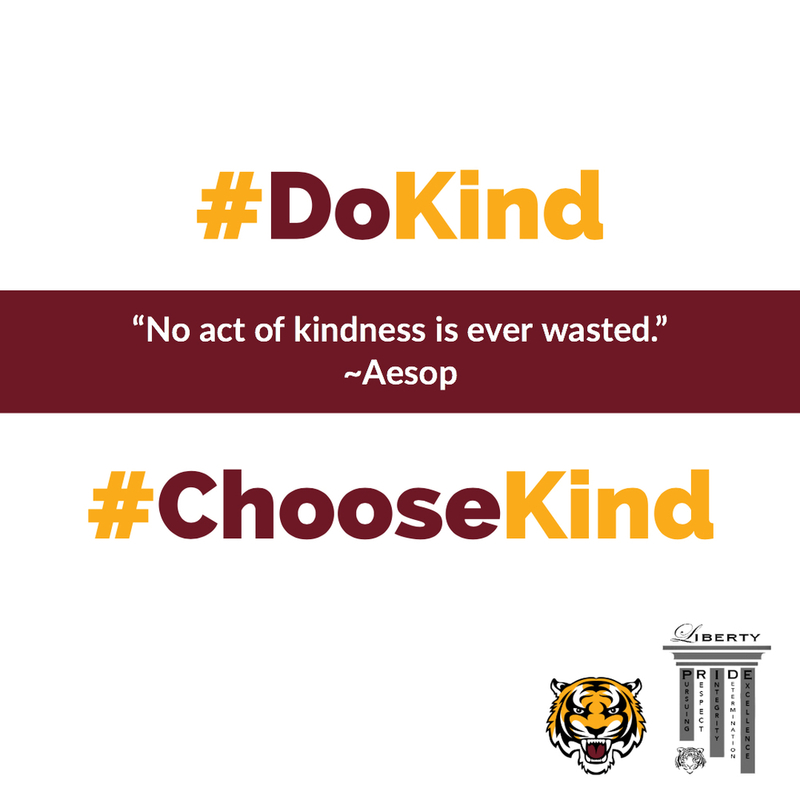 How could you choose kind today? That is the question being asked all throughout Liberty Elementary School during the month-long Kindness Campaign. Learners have been challenged to #ChooseKind and #DoKind through their actions and words. Many classrooms have implemented an “Acts of Kindness Challenge” to encourage acts of kindness such as asking another child to play, helping their teacher, picking up trash, holding the door open for others, sharing with others, giving a compliment to another person, and using manners. The goal of the Kindness Campaign is to help build positive character in learners by highlighting the value of being kind to one another. Teachers at Liberty have been using a variety of books and videos to demonstrate how kindness matters. Learners have also been encouraged to intentionally talk about how they have shown kindness to others and how they feel when kindness is shown to them by other people.